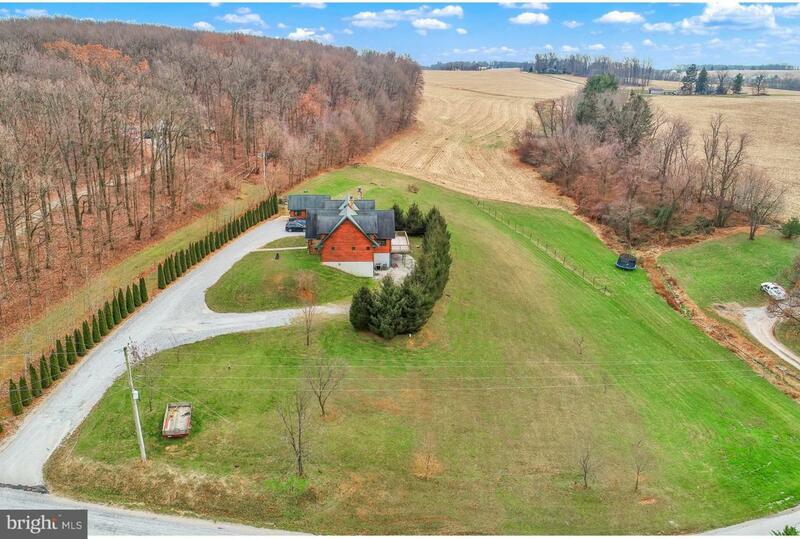 Rare opportunity in Southern York County! 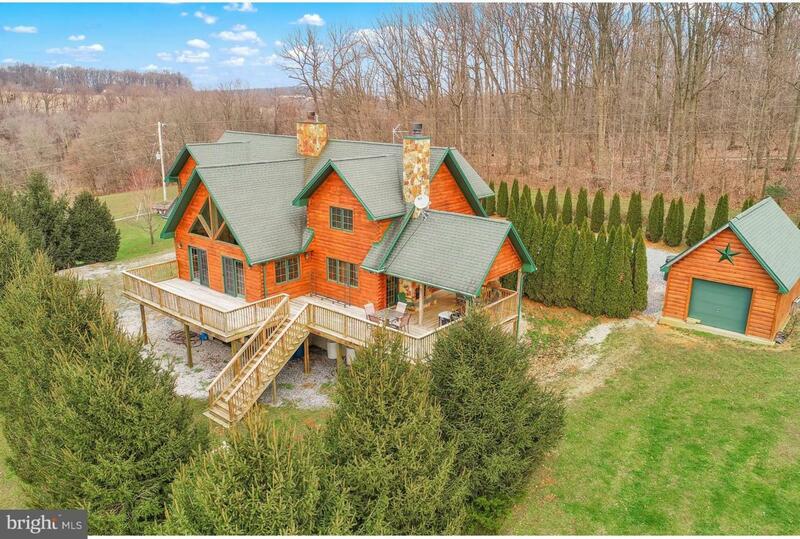 Country quiet, yet minutes to I83, Shrewsbury Exit is where you'll find this beautiful 4BR, 2.5BA Log Home. It's where hawks soar high and the air is free and clear. It's also the perfect place to escape and enjoy life! Relax and take in the panoramic views from the decks or covered front porch. One deck area is actually covered and features recessed lights, ceiling fan and a beautiful stone fireplace. Imagine your morning cup of coffee or evening glass of wine in front of the fireplace! 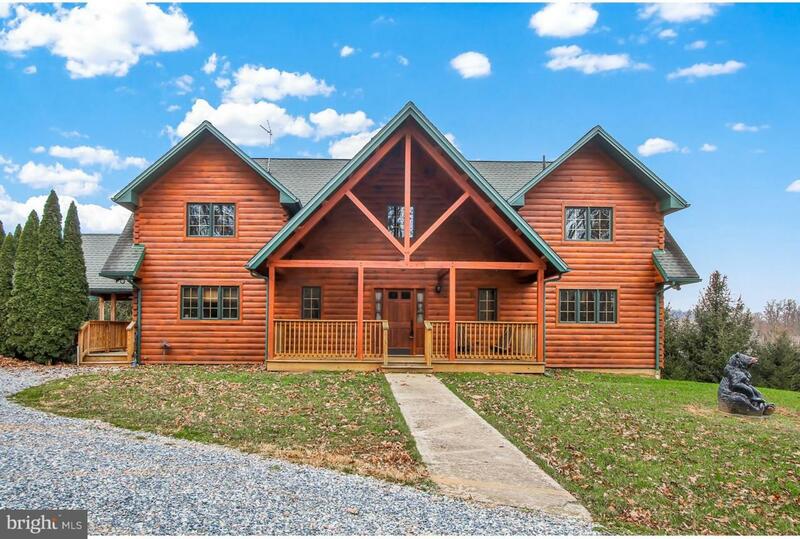 Step inside to the warmth and beauty of a well-maintained log home with soaring ceilings and window walls. A large entry foyer welcomes you into the home and leads to a 2-story family room with floor-to-ceiling stone fireplace and doors leading to the deck. The eat-in kitchen is well equipped showcasing a Wood-Mode custom cabinets, granite counters, large island with wine frig, stainless steel appliances and access to the covered deck area. A luxury master suite is also found on the 1st floor. The 2nd floor features a vaulted ceiling loft area allowing for wonderful bonus living space. There are also three additional bedrooms and a full bath on the 2nd floor. One bedroom features 6x12 walk-in closet with private access to hall bath. If you need additional living space, there's plenty of room to expand in the walk-out lower level, which could be customized and finished to fit your needs. It already has a bath rough-in. A private lane leads to the home and offers parking for many vehicles including recreational vehicles and toys. 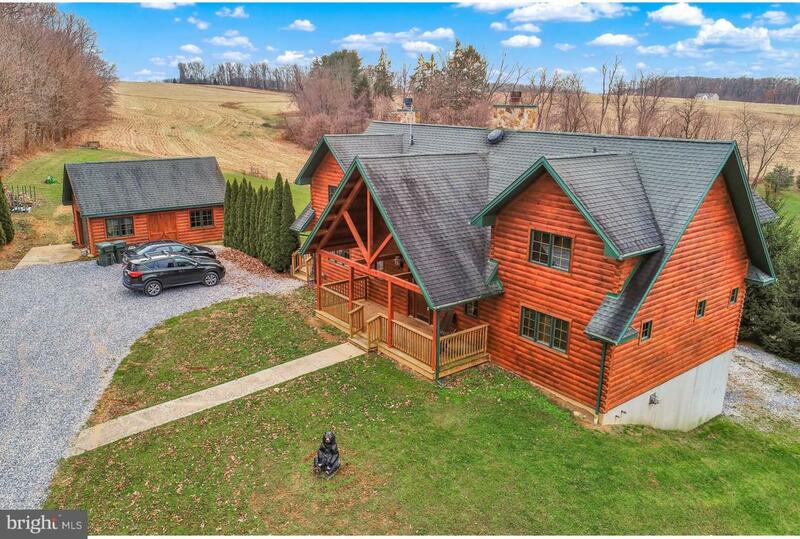 A drive through log sided, oversized, detached garage is also located on the property.